Montebello Shines With a Sophisticated Flare for a Business Lunch or a Date at Eight. 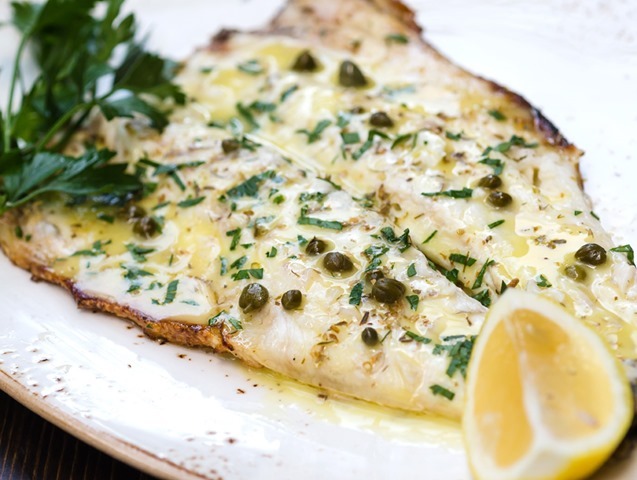 Montebello is an Italian restaurant in the cherished sense of the genre.Located at the heart of Midtown, Montebello buzzes with excitement as a business lunch spot with high-powered patrons such as Mayor Bloomberg, Donald Trump, and Barbara Walters. 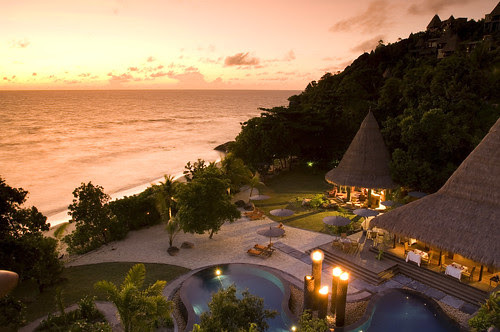 It is the most romantic of romantic rendezvous.” Celebrities such as Tony Bennett, Neil Simon, Kate Moss, Ron Howard, the Baldwin brothers and Michael Richards enjoy the beautiful private banquettes and soothing atmosphere of this elegant, unpretentious space. 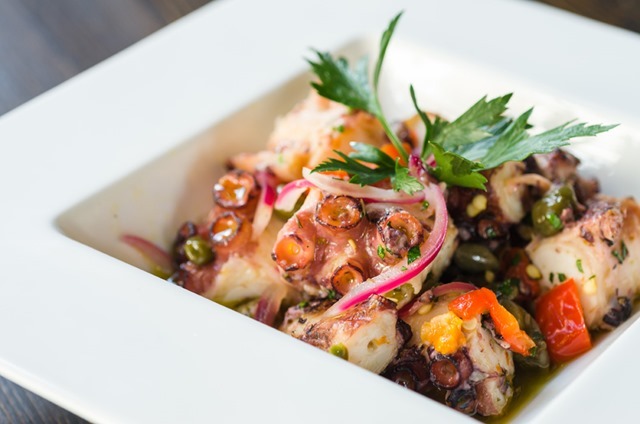 Owner Joe Bozic provides a dining experience virtually unrivalled in the city. The service is warm and attentive; the decor is artistic and inviting; and the food is sublime. Classic cooking from the area near Trieste, Italy, is the inspiration for the quintessential northern Italian menu developed by generations of the Bozic family. 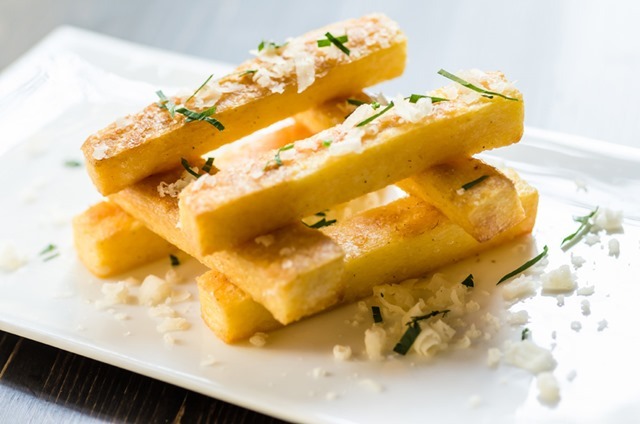 Emphasis is placed on simple, fresh ingredients and Italian cooking methods. Fresh pastas are made in-house daily, and dried pastas are imported from Italy. All meals are complemented by a selection of hand-made breads baked according to traditional methods. Lunch and dinner menus include a selection of antipasti, soups and salads, house made pastas and a wide variety of desserts. This hidden gem in the heart of Midtown is difficult to beat. 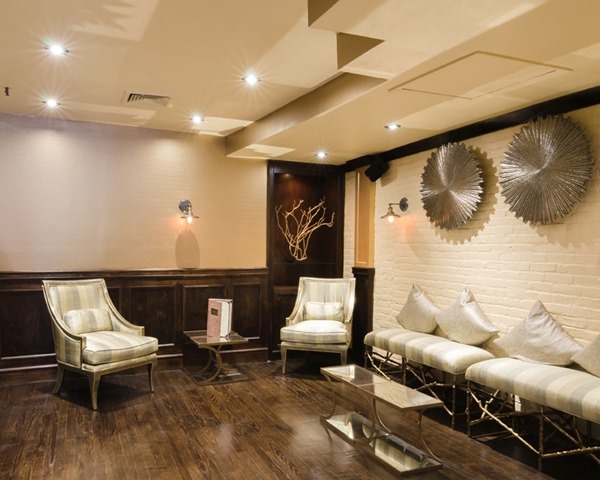 With the intimate dining room you will enjoy elegance and provide impeccable service, the sort that New Yorkers frequent for power lunches or a romantic dinner. I love the laid back décor, tromp loil touches and lovely murals. While there are many restaurant copycats and the modern-kitchen is becoming a factory of cliché. Montebello, a delightfully-traditional "New York Italian" restaurant, unabashedly shuns fad. The beige and pink L-shaped room with red leather banquettes, framed water colors, wall-recesses housing mostly Italian wines and a mahogany bar offers a gentle & civilized atmosphere. The greeting by the owner is warm and welcoming, and the staff is always excellent). The bar makes a superb Negroni and the wine list has improved. The Travaglini Gattinara, made from the famed Nebbiolo grape offers fine value and there is a lovely Roero Arneis,Bruno Giacosa for around $70. Simple items like PROSCIUTTO SAN DANIELLE, imported prosciutto with seasonal fresh fruits are lovey & Polipo (octopus salad) with steamed potato, red onions, caper berries, olive oil and lemon is well executed. Pastas are enormous and can easily be split as an appetizer or in-betweener. Crespelle, ricotta and spinach crepes in a fresh tomato sauce is delicious at Montebello, as is a perfect linguini and white clam sauce, garnished with only one in its shell, (we added a dash of hot pepper added for good measure). It would be hard to find a better broiled veal chop: huge, juicy and pink as requested with an aromatic salsa verde. The roasted rack of lamb with Dijon mustard; aromatic breadcrumbs and dry white wine are lovely. This is, by far, the best food I’ve had at Montebello. Well the chef should know his stuff. He’s been there 8 years. Not designed for the gastro-molecular crowd, here is classic (and classy) cooking in a civilized setting, amidst warm glowing sconces and soft coral walls highlighting lovely murals. There is a tempting dessert-wagon, but being sated, we should have chosen fresh blue berries & a bit of Parmesan cheese. Instead we went for the terrific cannoli, Italian cheesecake and tiramisu. Finish with some fine cappuccino and homemade Grappa and you’ll agree that Montebello at 120 E. 56th Street, Bet. Park & Lexington Avenues rates an A Major on The Walman Report. 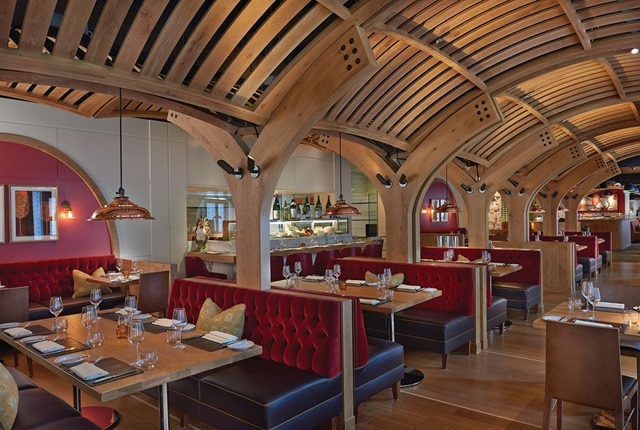 The award-winning Mandarin Oriental, Boston and Chef Daniel Boulud have opened Bar Boulud, Boston. The French-inspired bistro and wine bar is Chef Boulud’s first restaurant in Boston, and second partnership with Mandarin Oriental Hotel Group. 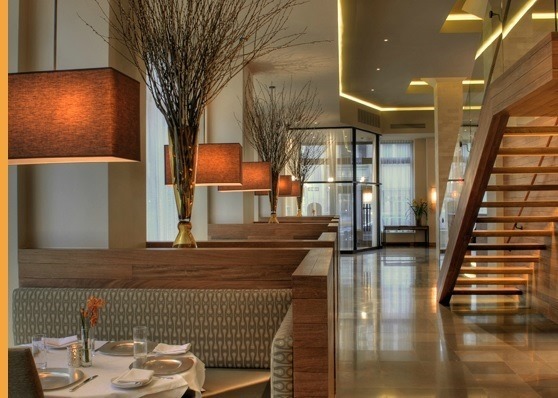 The restaurant follows the successful format of Bar Boulud, New York, located on Manhattan’s Upper West Side, and Chef Daniel Boulud’s first UK restaurant, Bar Boulud, London, located at Mandarin Oriental, Hyde Park, both of which have achieved significant acclaim. This approachable restaurant concept is known for its traditional French bistro fare, seasonal New England inspired dishes, signature charcuterie with recipes by renowned Parisian charcutier Gilles Verot, and an impressive wine cellar showcasing Burgundy and the Rhone Valley, well-suited for leisurely dining, business meetings or special occasions. Chef Aaron Chambers, most recently Executive Chef at Boulud Sud in New York City, leads the daily culinary operations of Bar Boulud, Boston as Chef de Cuisine with a menu that includes an impressive selection of traditional terrines and pâtés, such as: Pâté Grand Mère, chicken liver, pork, cognac and Pâté Grand-Père, foie gras, pork and truffle, along with an assortment of signature sausages such as:Boudin Blanc, white pork sausage with truffled mashed potatoes and apple and Boudin Noir, blood sausage with mashed potatoes, apple and caramelized onions. A selection of grilled beef burgers adds an American touch to the menu with: ‘The Frenchie,’ topped with pork belly confit, arugula, Dijon, tomato compote and Morbier cheese on brioche bun and ‘The Piggie,’ topped with barbecued pulled pork, jalapeño mayonnaise, and a red cabbage slaw. Additional menu highlights include: the classic Coq au Vin, with red wine-braised Amish chicken, bacon lardons, pearl onions, tender baby carrots and trumpet royale mushrooms;Handmade Chitarra Pasta, laced with local Wellfleet clams, bottarga, fennel and chili garlic; New England Sole Meunière, served with cauliflower, marcona almonds, capers, brown butter and fresh parsley; and a hearty Croque Monsieur, served on house-made brioche, layered with melted Gruyère cheese and house-made ham. 212 A Steakhouse Like No Other & You Can Afford It. 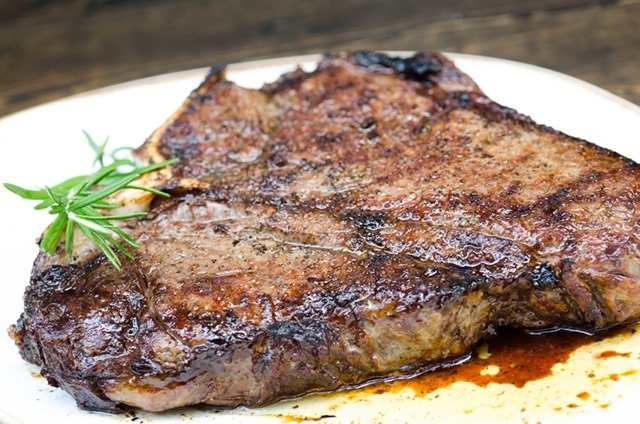 212 Steakhouse is located at 316 East 53rd Street between 1st and 2nd avenues, http://www.212steakhouse.com, 212-858-0646, is open for dinner Sun-Thurs 5pm-11pm, Fri-Sat 5pm-11:30pm and is available for private events. Lunch coming soon. Kobe beef is a rare delicacy no matter how you slice it. Highly regulated by the Japanese government, only a limited amount of authentic Kobe beef exists, and a very small percentage is exported to the U.S. 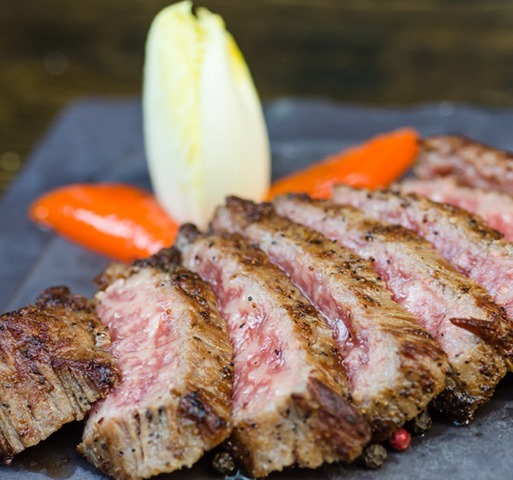 In fact, 212 Steakhouse is the only restaurant on the East Coast officially approved by the Kobe Beef Marketing and Distribution Promotion Association from Japan to offer authentic Kobe beef. This association guarantees the supreme quality of the certified authentic Kobe beef served here, attested to by the certificate that hangs in the entryway of the restaurant. For more information on the association, please visit www.kobe-niku.jp/englishtop.html. For those who have never tasted the real thing, 212 Steakhouse offers the opportunity to try the beautifully marbled meat for a fraction of the cost: $15/ounce as compared to $45. (Minimum serving four ounces.) Most steak eaters find that they are satisfied with a small portion of the ultra rich Kobe beef. We have enjoyed Kobe beef at many restaurants in the US, Europe and Japan, but have never tasted such excellence before 212. Always tender, at 212 Steakhouse, the marbling and taste is beyond description. 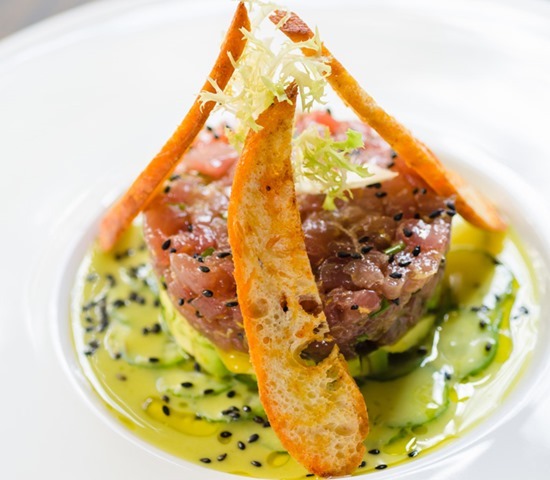 An ideal meal begins with cold appetizers such as a wonderfully colorful interpretation of ceviche of wild salmon, avocado, mango, radish, minced jalapeno and lime zest, or yellowfin tuna tartare with avocado, highlighted with thinly sliced cucumbers and a bright and intriguing wasabi lemon sauce (beautiful to look at, elegant and exquisite). There’s also imported burrata wrapped in 18-month aged prosciutto di Parma with baby arugula. Equally compelling are hot appetizers such as thinly sliced of zucchini chips, fried until crisp and puffy, flavored with garlic and accompanied by yogurt-dill dipping sauce, or grilled sushi quality octopus with red-wine vinegar marinated red onions and sweet mini peppers, or the dramatically presented graviera cheese, brought to the table with a brandy flambé. Organic spinach soup with roasted feta crouton, a deeply satisfying dish that borrows from Volper’s Bulgarian heritage, is a thickened with yogurt and filled with swirls of fresh spinach. 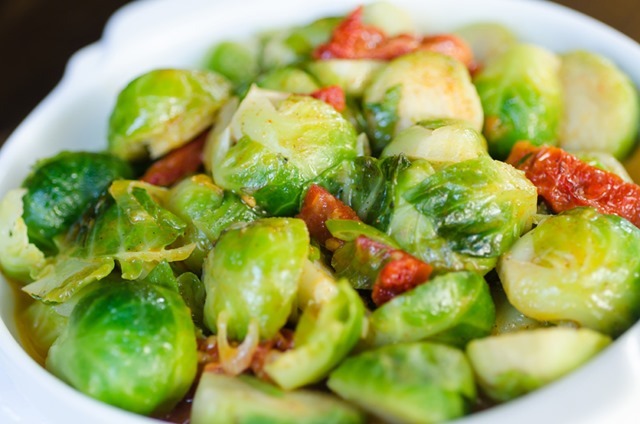 with parmesan, tender sautéed Brussels sprouts with sun-dried tomatoes, a heavenly mix of mushrooms and an addictive tangy-lightly sweet eggplant caponata composed with pine nuts, raisins and olives. Grilled sushi quality octopus (Above) is the best in NY. We loved the honesty, care, quality and price-points of 212 Steakhouse. Service is attentive and friendly and the bar makes a good martini. There are just a few housemade desserts: Crème Brulee and Chocolate soufflé. Both are lovely. But best of all, 212 Steakhouse breaks the mold of ubiquitous NY Steak House and is a joy. 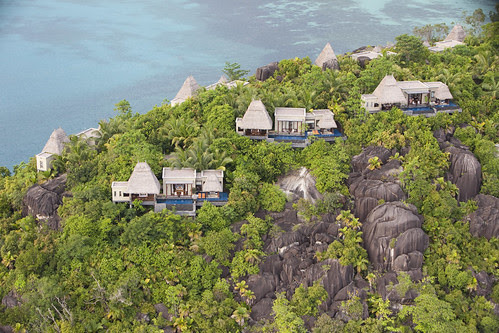 The restaurant serves lunch and dinner daily. Its full menu is available at the bar. Not To Be Missed. 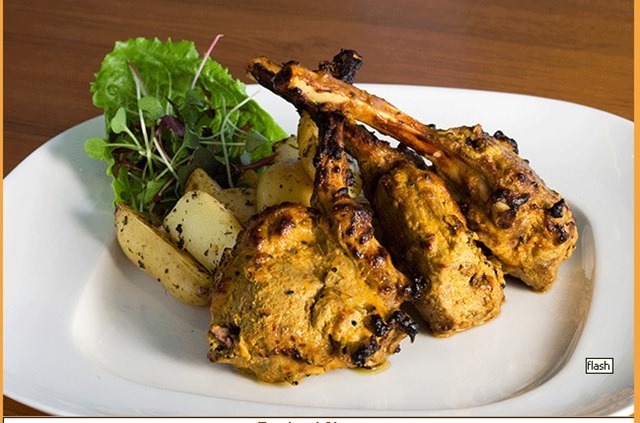 The Amazing MASALEDAR CHOP (Lamb chops marinated in nutmeg, cinnamon, aromatic Indian herbs), Pictured Above. Avtar Walia,(pictured left) previously owner of the acclaimed Tamarind in the Flatiron section (now closed), is devoting his energies to his newest restaurant Tamarind TriBeCa in Manhattan’s prime and most sought-after neighborhood.The architect and designer of Tamarind TriBeCa is Wid Chapman, who heads the award-wining firm of Wid Chapman Architects in New York. The modern 11,000 square foot space seats 175 people on two levels, the main dining room and a 1,500 square foot mezzanine. At the entrance is a stylish bar and cocktail lounge with a marble and onyx bar, and a communal wine table framed by a wall of Brazilian teak, and lit by an illuminated wine display. 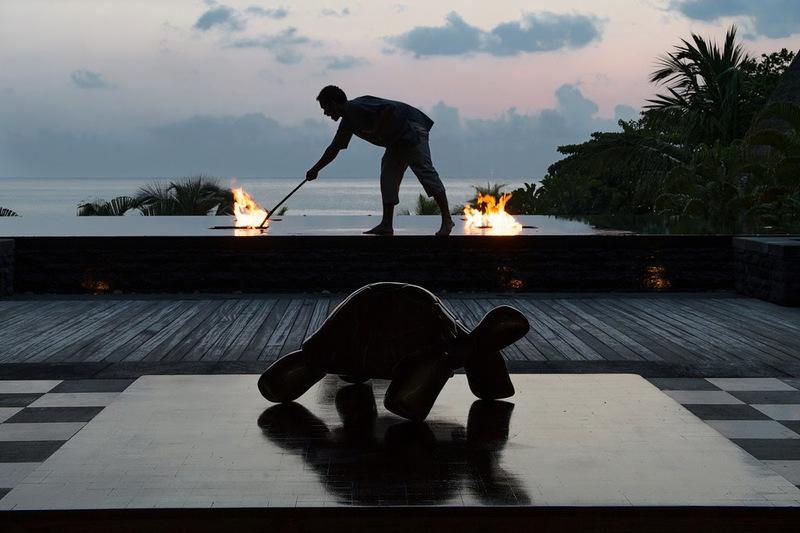 The overall effect is breathtaking and dazzling and is enhanced by extraordinary service, under the direction of the polished Manager Christopher Corda. 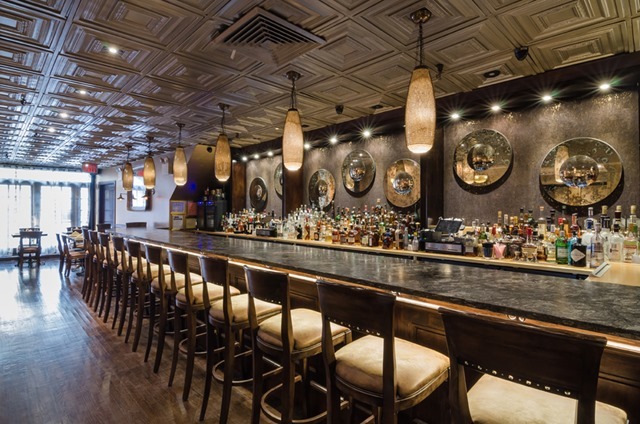 (Don’t forget to check out the new Tamarind Lotus Room, bar lounge area and the mezzanine). 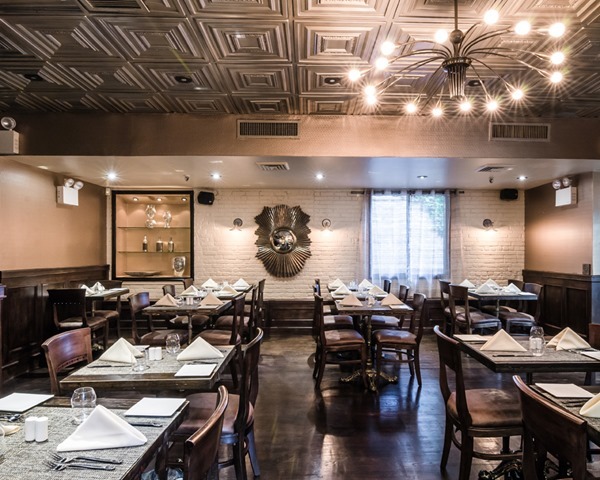 The food represents many of India’s diverse regions to produce new dishes and classic fare, in addition to selected offerings drawn from Tamarind’s original Flatiron location.. Anchoring the TriBeCa site is a windowed tandoor kitchen crowned by a unique black metal roof. Among the exceptional dishes featured on Tamarind’s menu are: Puff pastry, filled with melted cheese (yes it’s mozzarella, but who cares. It’s delicious). Dover sole is baked in a clay pot, layered with whole spices, and bathed in a pasanda sauce; while Lobster is combined with shitake mushrooms, chopped onions, garlic, and white wine; Bataki Kosha, An unusual Duck dish, is hand rolled in a rice crepe, with onions, garlic, ginger, garam masala; while Prawns are sautéed in coconut, lemongrass, dried red chilies, spiced chickpea flour cake. Also loved: Achari hiran ki chhampen, the legendary Venison chops marinated in pickling spices, roasted chickpea flour and hung yogurt; MASALEDAR CHOP (Lamb chops marinated in nutmeg, cinnamon, aromatic Indian herbs was equally divine; MALAI HALIBUT, Halibut flavored with mace, cardamom, in coconut, ginger sauce may the the seafood star; Raan e Dumpukht, Lamb shank braised in Indian rum, onions, cashew nuts, saffron and nutmeg is the best shank I’ve had in years: fork tender, huge and impeccably spiced (worthy of a visit in its own right); MAJJIGA PULUSU, a fascinating mélange of Buttermilk, green plantains, yams, radishes, white pumpkin, carrots, okra, mustard seeds,and curry leaves. Of course you must order the superb Indian breads (check out the minted and rosemary varieties) and flavored rice as well as cooling flavored yogurt and sweet chutney on the side. And don’t skip dessert. Tamarind TriBeCa takes them seriously. We loved the fruited cheese cake and warm carrot pudding and there are many others to choose from. 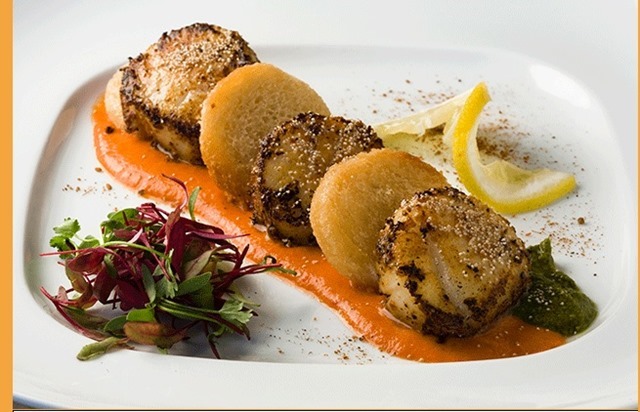 Tamarind’s focus has always been to pair fine wines with the food his chefs prepare. And the TriBeCa restaurant has increased the number and variety of wines in its inventory. Prices are fair and the selection is good. 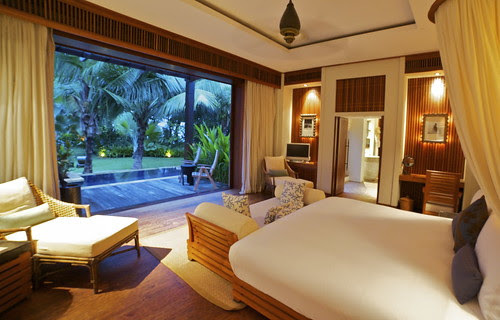 Tamarind maintains a well-stocked full service bar and high end products. The cocktails are both inventive and generous. 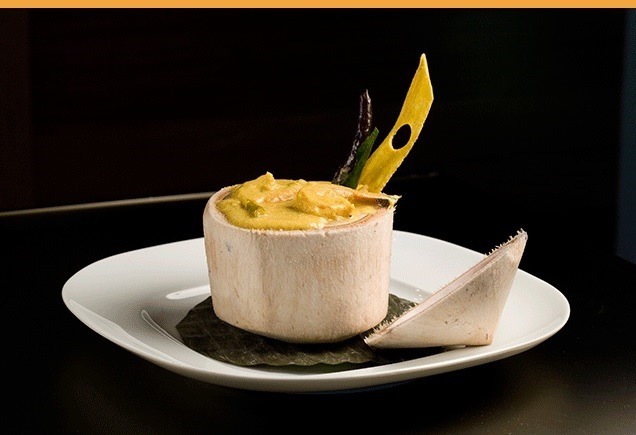 Forget all your clichés regarding Indian food and for an elegant night out or just some of the best Indian cooking in Manhattan, head for Tamarind TriBeCa. You won’t be disappointed.